It’s not every day Melhuish & Co get to create a brand for the Prime Minister. 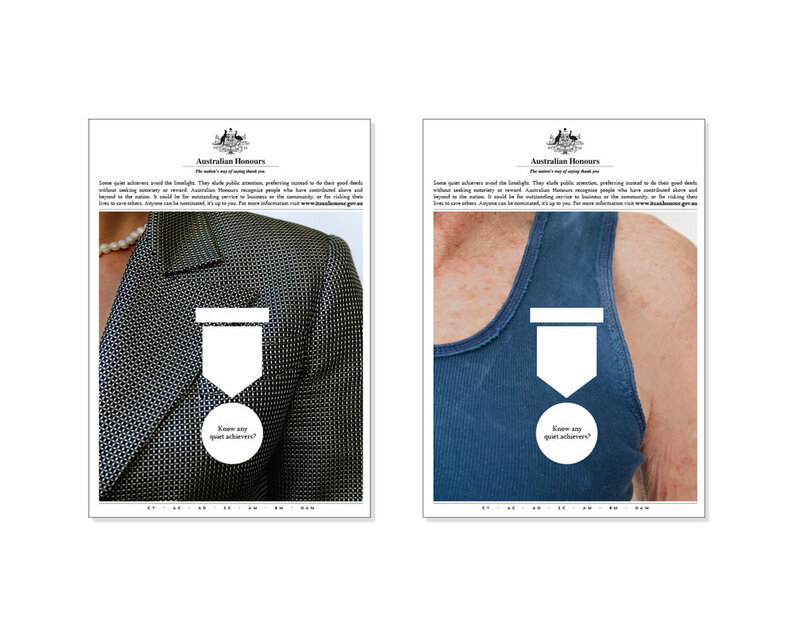 The Advertising campaign in print and digital media aims to encourage nominations for civil honours. It’s not every day you get to create a brand for the Prime Minister. The Advertising campaign in print and digital media aims to encourage nominations for civil honours from a broad cross-section of the community. Honours are not just for the social elite or politically connected (no really, they’re not!). We tried to do a contra deal - an AO in exchange for the advertising campaign, but they wouldn’t have it.